Brighton & Hove residents can give their views on the recent two-week school half term in October. Brighton & Hove City Council is running an online survey on the impact of the recent two-week break. Last year the council agreed to try out a longer autumn break for 2018 and 2019, and also to consider the impact of the change before making any decisions further into the future. 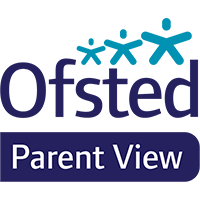 As well as getting residents’ views, the council will look at the impact of the two-week break on overall attendance, the progress pupils have made this term, and the experiences of staff. A report on the results of the consultation will be considered by the council’s children, young people and skills committee on 5 March 2018. Ensuring that the most vulnerable and disadvantaged children receive the council’s support in all areas is one of the council’s key priorities. The extra week’s holiday in October aims to enable families to have more flexibility about when they can spend time together without missing school, and to take excursions or holidays outside the peak holiday period. It was also hoped that the measure would help address the issue of parents taking their children out of school during term-time for unauthorised holidays, missing valuable learning.